Star. The girl who is the namesake of our organization. An abused puppy, she found her way to the NYC Animal Care & Control several times before becoming a companion to a homeless man. 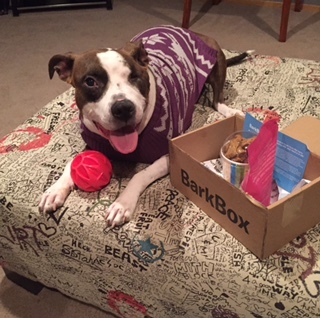 After being shot by a police officer, Star began her new life in Nebraska where she loves to lounge by the fireplace rummaging through her monthly BarkBox or bouncing on the couches. Pete. 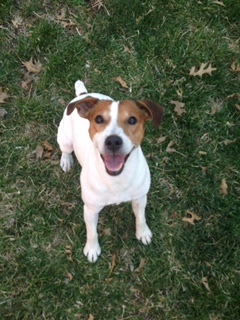 A puppy-mill survivor, Pete lives up to the Jack Russell stereotype. 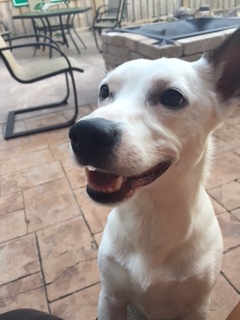 Full of energy, curiosity, and mischief, Pete spends his days running in the backyard barking at squirrels and waiting for his next treat. Sadie. 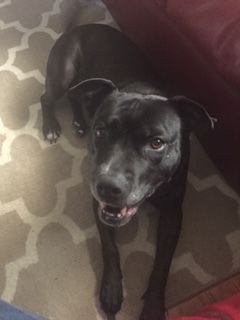 Known as Miss Sadie and Sadie Lady, this beauty was rescued from Hamden, CT. Picked up as stray roaming the streets, Sadie was brought to the shelter where she was the 'shelter mom' greeting all the dogs that came in. After being confined for 11 months, the order came for Sadie to be euthanized. Sadie now enjoys her naps, apples (without the skin) and keeps close eye on the little dogs. Browny. Browny is referred to as the 'Intern' as he was (and still kinda is!) in his awkward stage and trying to find his way when he came to us. He is a survivor of the Brooklyn, NY Animal Care & Control where he was left by his owner on Valentines Day. Browny now spends his time running in the yard, and collecting teddy bears and squeaky toys. Pete is his BFF, although Pete is in denial.